Okay, so I wouldn't say my life is complete chaos lately, but it's close! And trying to find that balance in my life has been really hard lately. ...yes, it certainly is. Those 3 simple words are so, so true. Something always seem to be left behind...there is always something I just can't get to. I know this is normal for a working, married woman with a toddler. But it doesn't matter if it's completely normal. I HAVE to do some of those things on that list, and I WANT to do the others. But it always seems like the "want to" things are the ones that get left undone. There are a handful of things on that list above that I can't remember the last time I had time to do. And that makes me sad sometimes...and stressed other times. And wishing I had more "time in the day" all the time. I could have written this exact post. Yes to all of the above. I feel the same way and have for the last six months or so. Just the last few days have been even more stressful and busy. I know it's because of our trip to TX and school starting back up in just under two weeks, but boy oh boy, am I tired and just feel behind all.the.time. Good luck mama! Focus on you too!!! Oh hon, I feel ya... story of my life lately too. Balance IS hard man! 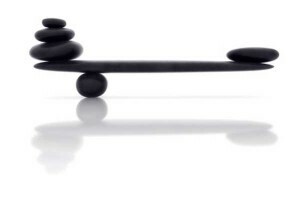 I feel like I do find balance one day, & then the next is so different with different obstacles, responsibilities, & other things... throwing my balance totally off! I know that you worry about finding that perfect balane, but you are doing SUCH an amazing job hon. You are a sweet mommy that adores her little girl, that little girl LOVES her mommy, & her husband is crazy about her. REALLY that's all that matters. You do what you have to each day, & spend time w/ your family, along w/ a little Kyna time... & everything else as you can fit it in. Lol... if it was only as easy as it sounds! Please let me know if ya find the secret hon, I'll do the same! Until then we'll be a little crazy together. Smiley-face. love your blog & I am so with you on this post! I heard thus awesome way to understand balsnce and that's there really is no way to have balance because some areas are going to need mire time than other times....just do what you can and give it your all and move on to the next thing you have to focus on....I thought it made sense...this way we don't beat up ourselves over not being able to do it all! I hope you find that balance. So so true, balance IS hard. sorry, your struggling with it right now (i am too :( ... ). I just keep telling myself its okay not to be able to "do it all" (not that I'm very good at listening to myself) ;). so I guess, just know that you're not alone.